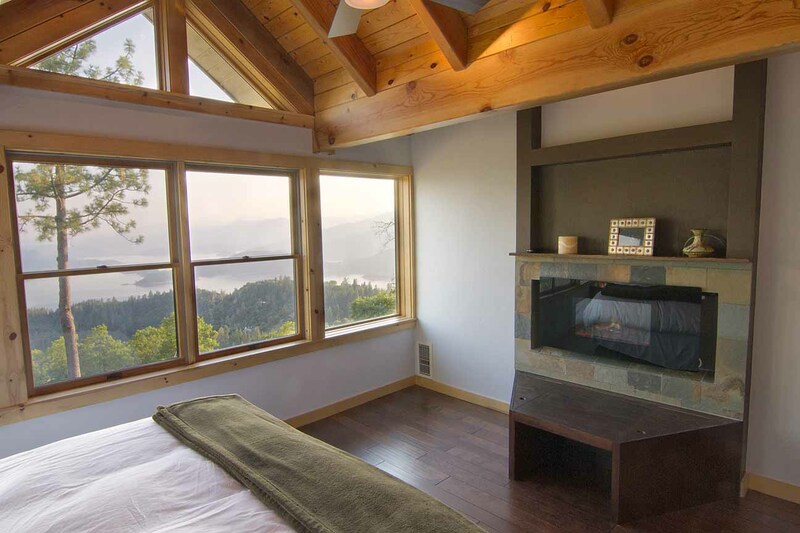 This bedroom is situated on the second floor on the SE corner, which facilitates fantastic views of Lake Shasta and beyond. 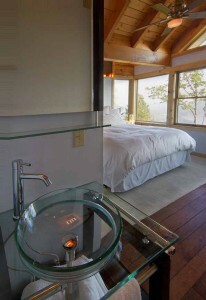 On a clear day, one can see all the way to Red Bluff (35 miles) from this room. 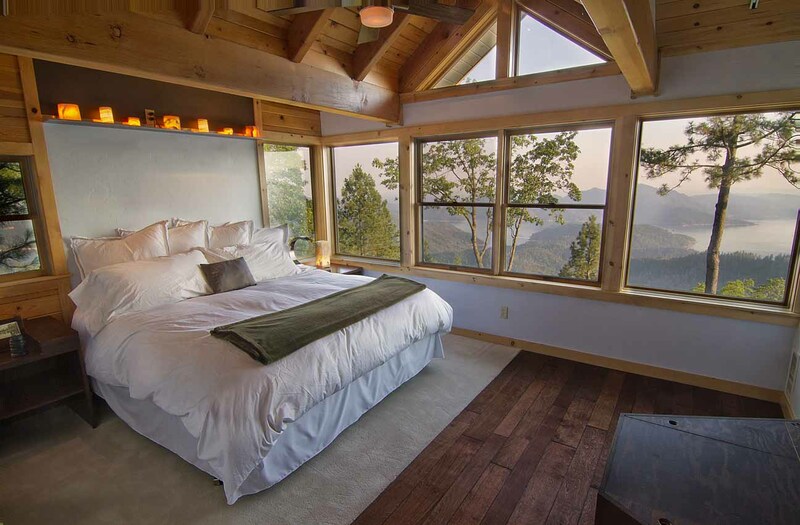 A dormer was added for this room, which provides ample natural light, flooding the room with the soft glow of the sun. It comes equipped with a Eastern King bed, fireplace, its own vanity and glass bowl sink, and a shared bathroom featuring slate tile and awesome natural light from the windows and skylight.